Is Windows or Mac the Best Operating System? 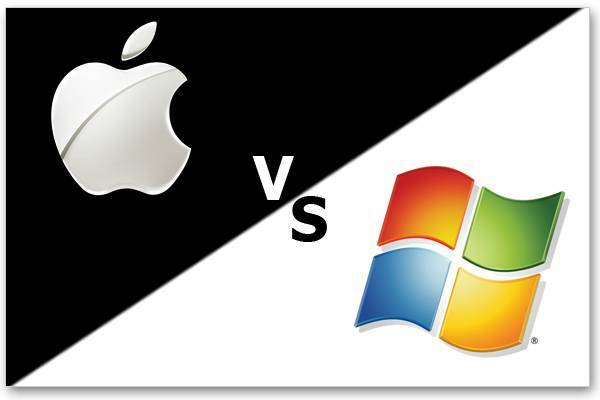 Windows vs Mac has been one of the largest discussions among people trying to decide which is the ultimate operating system. To most this topic is trivial, but some get serious and view this as a heavy topic. Windows and Mac are currently the world’s leading operating systems for computers. Here we are going to break down the specifics of why one may be better than another. Mac was established on the basis of simplicity, thus its name: Apple. Windows is more refined and requires a touch of invention and customizable additions to the product. The Mac operating system is very easy to learn. The interface looks extremely appealing. The ease of use when in contact with a Mac is just amazing. Some people will probably use Mac once and never even think about switching. The file system is also very good and allows you to easily access everything you need. 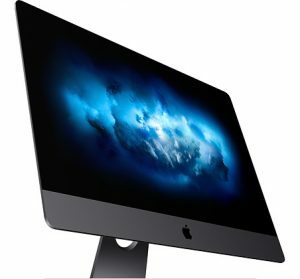 The iMac Pro is a very good computer but has a high price point considering what you get with it. A PC is valued at a much lower rate and you can get almost all of the same specs. They are not customizable. Macs do not allow you to take out parts and put in parts to make your computer run faster. It is really hard to get your parts replaced with a mac and there is a large probability that you will break the device. For the average person, it will be impossible to replace parts. These devices are also considerably more expensive than the PC. You could build your own PC with relatively high specs for less than 1,500 dollars. I visited Apple’s website and I configured the cheapest iMac pro I could purchase to be an insane 5,000 dollars. The most expensive price came out to be 13,926.98 dollars. That is a ridiculous price to pay for specs that you could get for a lot cheaper on a PC. According to die-hard Windows fans, the expensive price that you pay for Apple products is titled as, “the apple tax”. I am currently using a PC and I am extremely fond of it. The windows operating system is harder to learn but that is because it holds more opportunities. Once you learn more while using a PC, you will be fine. Windows has an immense amount of software that you can use in comparison to the Mac. The software that Windows and Mac share tends to run more smoothly on a PC. That is probably because people have their PCs configured to what suits their needs. PCs are easily upgradeable in comparison to Macs as well. If you want to add 16GB of RAM on your PC, you can do that in less than five minutes; that is if you know how to accomplish it. PCs are also better for gaming. You can obtain way more frames per seconds in a game like CS:GO on a 2,000 dollar PC than you can get on an almost 14,000 dollar Mac. You have a wide variety of opportunities to increase accessories on a PC than you have when using a Mac. These accessories tend to be cheaper as well for PCs. Windows also has the office 365 software which includes Microsoft word, powerpoint, one note, excel, and some other programs. But, you have to pay for these programs. Within the Windows software, there is also an application called, “task manager” that gives you access to see how much CPU power is being applied to a video you are exporting or the percentage of your GPU that is being used during gameplay. I also found that the Mac tends to crash more when exporting videos in adobe premiere than on my PC. Many companies run Windows for their laptops or pre-built PCs but with Mac, you can only purchase Apple products. 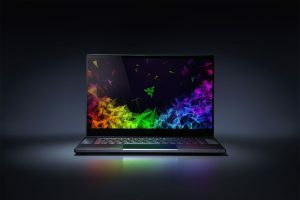 With Windows, you could get a Razer blade laptop or if you don’t like Razer products, you could purchase something like a Dell laptop. Razer is one of the many companies that use Windows as an operating system for their laptops. Unlike Windows, Apple only has their operating system on devices that they make. You are more vulnerable to viruses and internet security issued when using windows due to it having a much larger base. With PCs, you will probably have to replace your components every now and then so your PC does not get outdated. For some people, replacing PC components may be difficult and may seem scary to do with all the cables and components inside. Another downside is that when your PC has a problem, it is very difficult to find the source of it. With Mac, you just unplug your computer and take it to the apple store. With a PC, you can’t really do that. Another downside to a PC is the web browser. Microsoft edge: ew. I do not like it at all. Not one bit. You are way better off going on the disgusting Microsoft edge and looking up google chrome so you can download it. Microsoft would have been better off just sticking with internet explorer. Another plus to the Mac is that with it, you can access—debatably the best video editing software which is—Final Cut Pro. Final Cut is used by video makers around the world and is exclusive to the Mac. Personally, I prefer Adobe Premier. Adobe Premiere also runs on a Mac. You can also get a wide variety of software on the Mac from Pages to Logic Pro X. For web browsing, you get Safari. That is either a good thing or a bad thing, depending on the user. 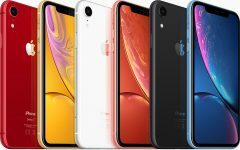 Are The New iPhones Worth the Price? For many kids here at Sage Creek, this may be something very important. A very popular game, Fortnite, can run on a Mac. So for all of you out there who do not have a console like PS4 or Xbox, but do have a Mac, this is very good news. Each has their own pros and cons, but both cater to a specific audience. Although Mac is very easy to learn and operate, it’s going to cost you. “Apple tax” is the price you are paying for the sleek aesthetic and ease of use. Windows is great for people who have specific and high demands of their computers as it can be customized at a cheaper price. Overall, it really depends on what you need and how you are going to use your computer. Tips for next time, come to a conclusion because as a reader it is very unsatisfying to have an “up to you” when the article is titled “which is best” implying one has to be the best overall. It’s your opinion and use it to get readers engaged, because if someone disagrees they will take to the comments and start a discussion/or a discussion with their friends thus garnering more views.